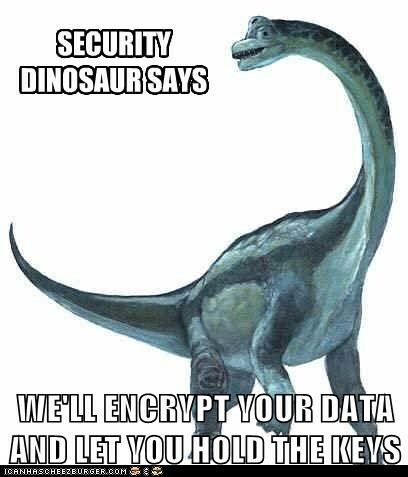 right, because just holding on to the keys is what makes it secure. in this day and age, would you really trust a cloud-based service provider to not offer you encryption that had already been back-doored for an intelligence agency? you really ought to be doing your own crypto. and the sad thing is, most providers actually regard the captioned strategy as an improvement.